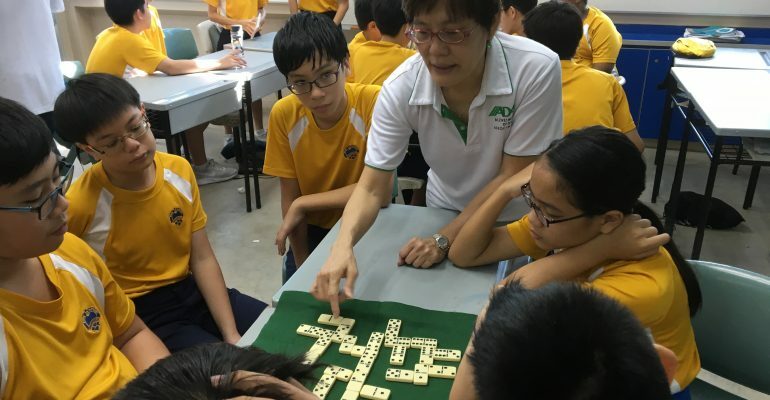 The dementia-awareness workshop was held in conjunction with other mini-workshops by different community partners, as part of the school’s Social Impact programme where students get to learn more about the various communities in Singapore (elderly, individuals with special needs and migrant workers) including ADA. Unlike run-of-the-mill awareness talks, the dementia-awareness workshop had been designed to feature interactive activities in order to create a more immersive learning experience for the students. After a slide presentation on dementia, the students were excited to get their hands-on with some interactive games such as Dominoes, Matching cards, puzzles, etc. The students broke up into groups of four to five, to try out how engaging these games are for persons with dementia. Through these, they learnt about ways to stimulate the cognitive and social abilities of persons with dementia. Within each small group, students put themselves in the shoes of persons with dementia as other group members tried to engage the person with dementia. Through such experiential learning, students practised what they had learned about engaging persons with dementia from the presentation earlier. 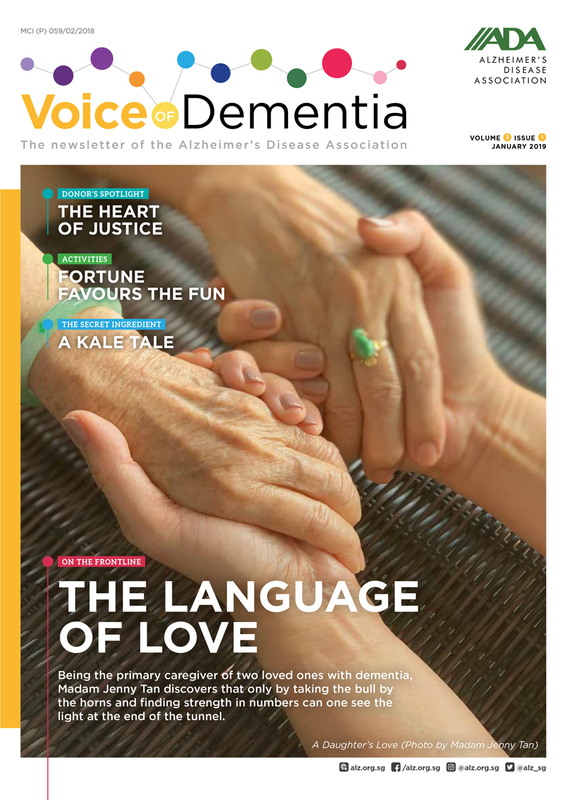 The workshop then proceeded to a short quiz session where bright-eyed students were more than eager to answer the questions about dementia directed at them, before concluding with a lively Q&A. 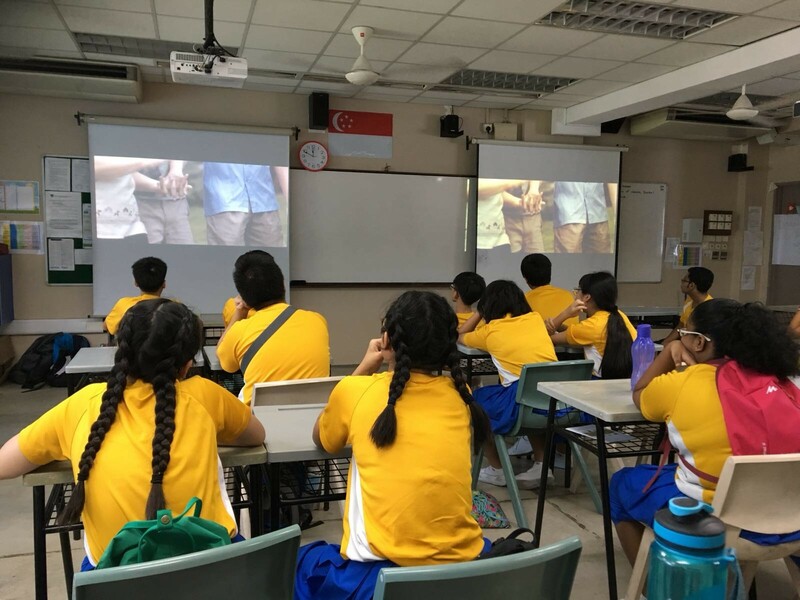 The outreach to the students had been a blast and impactful one as students walked away with invaluable takeaways and learned more about their role towards building a dementia-friendly community.